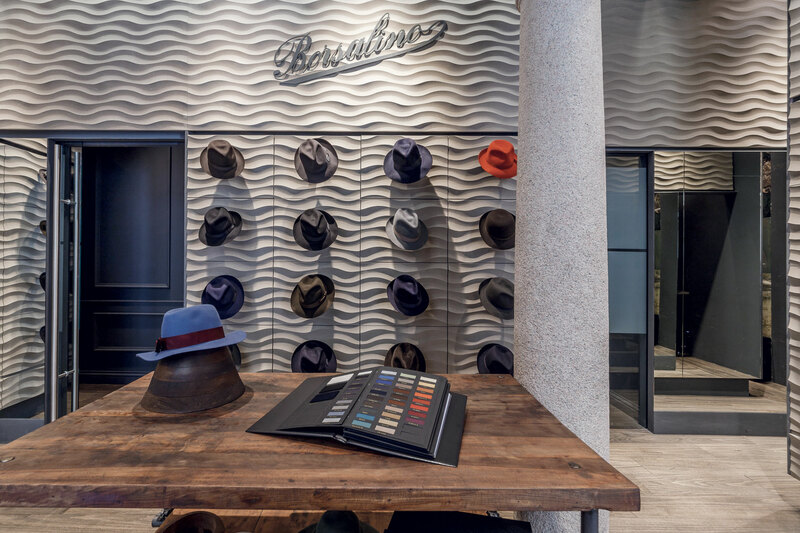 The excitement of the visit to the factory Borsalino in Alessandria is an immersive experience in wisdom of a rare and ancient craft. 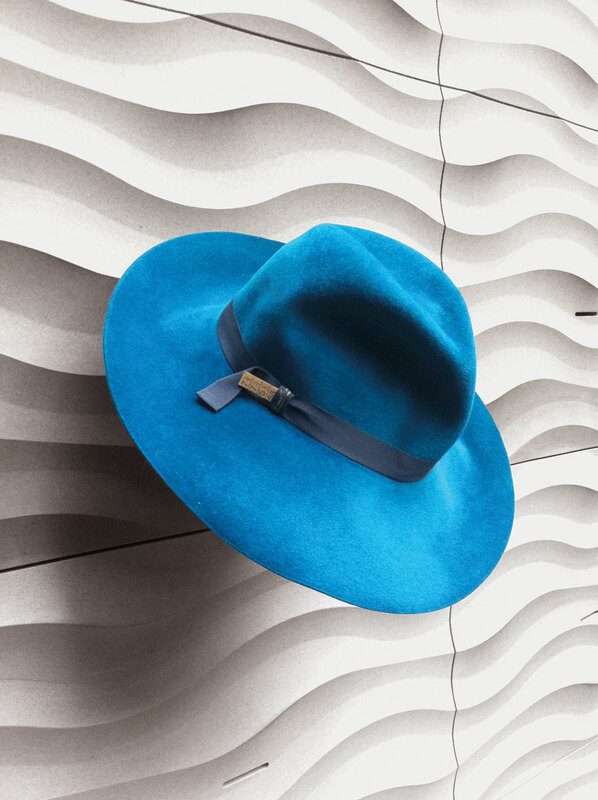 The hat for excellence takes shape through long and wise secrets, from the first room full of white flakes of soft fur and steam, until the skillful hand of the tailor who finishes the inner lining. It seems the laboratory of an alchemist. Enchanted by the historical machinery moved by skilled craftsmen I stopped halfway in the room where the hats still raw and newly formed are stacked waiting to turn each of its shape, size and color. 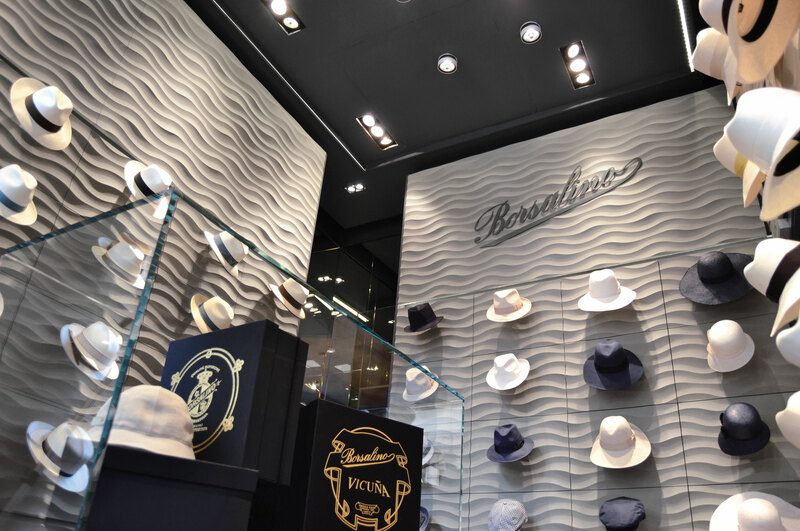 Here the movement fluid and undulating of the hat’s brim still wet, paints a graphic sign unique and authentic of traditional Borsalino style. 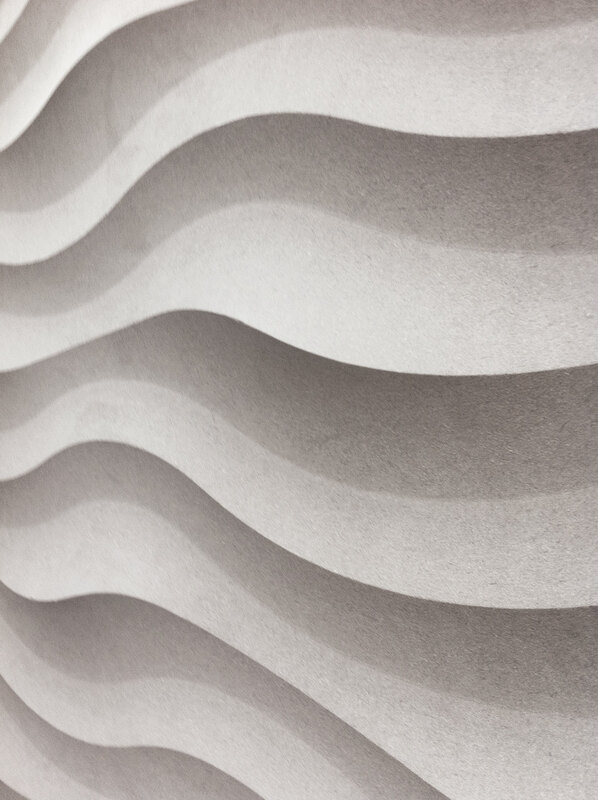 The natural grey color of the felt. 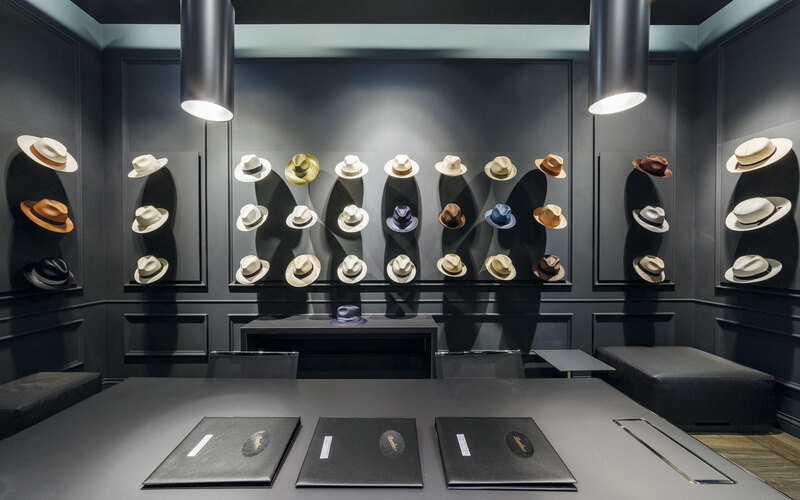 I imagined a space where there is no furniture, only architecture shaped that contains the precious hats. 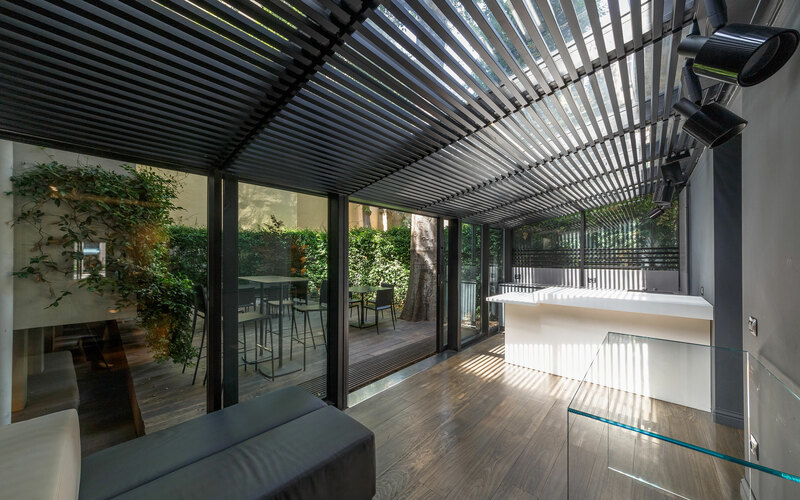 The light and matter are the only elements that make the protagonist the product on the walls. 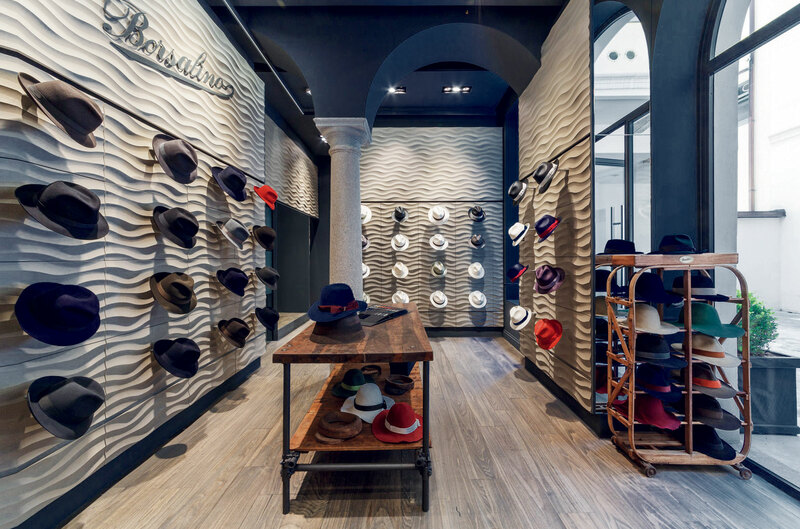 The wooden gray pulp is the materic avatar of the felt, spread on the space by drawing the graphic sign of the brim of the hat to infinity along all the walls, an harmonic language that evokes the charm of tactile softness and all-Italian class of one the most exclusive brand in the world.